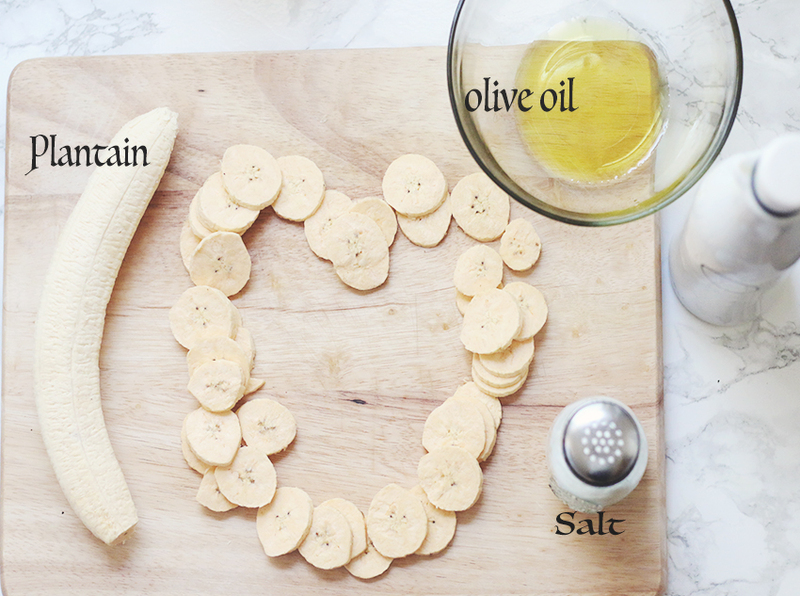 I make these for lunch,dinner,as a snack all the time. Actually I made them for two weeks(maybe 3) straight because I dint feel like cooking those nights. You make think Snacks when you hear plantain chips. But that is not all true. When you make them at home, it can be a meal. All you need is a bout two plantains for one serving. 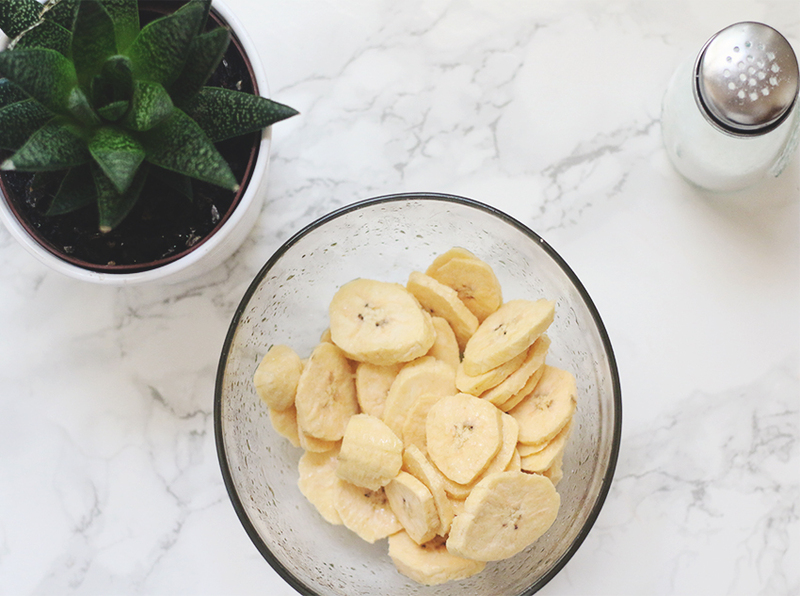 I call it "Vegan night" when I make these plantain chips. I usually pair them with a side of guacamole or garlic sauce. If you want lime or garlic flavor,just add some lime juice or organic garlic powder to the mix and voila! You can even add some red pepper/paprika/dry basil for more flavor. Place cookie sheet in oven for about 20 minutes. 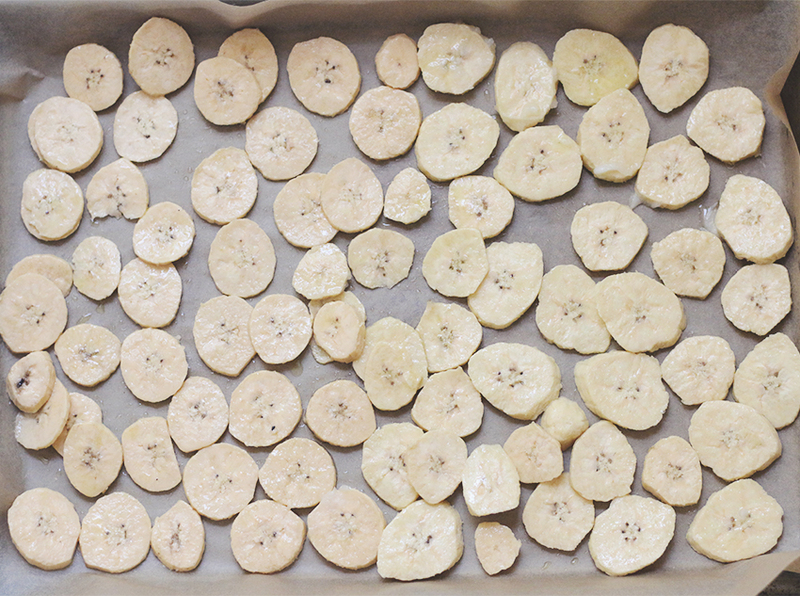 Plantain chips are done when they start to brown around the edges. 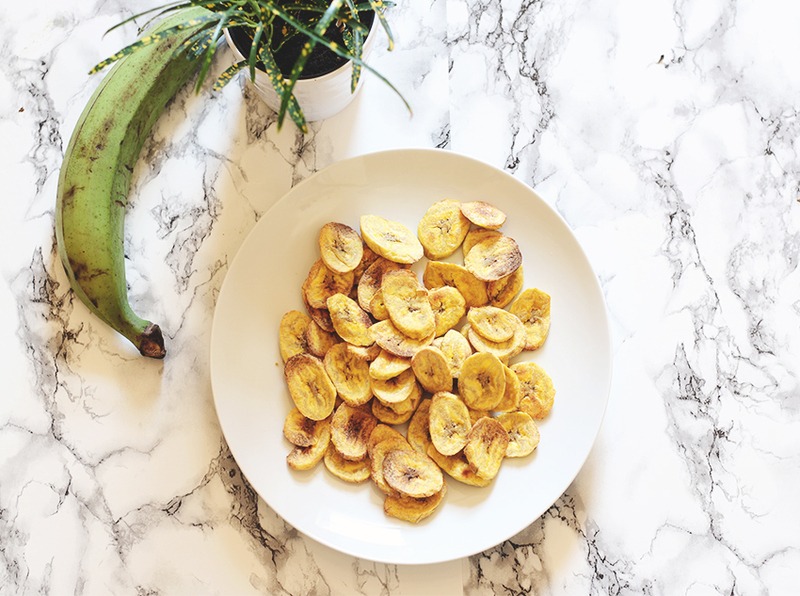 Heat up a pan to medium heat with olive oil, add just enough plantains slices when hot.Fry for about 3-5 minutes. And repeat process based on the amount being made. 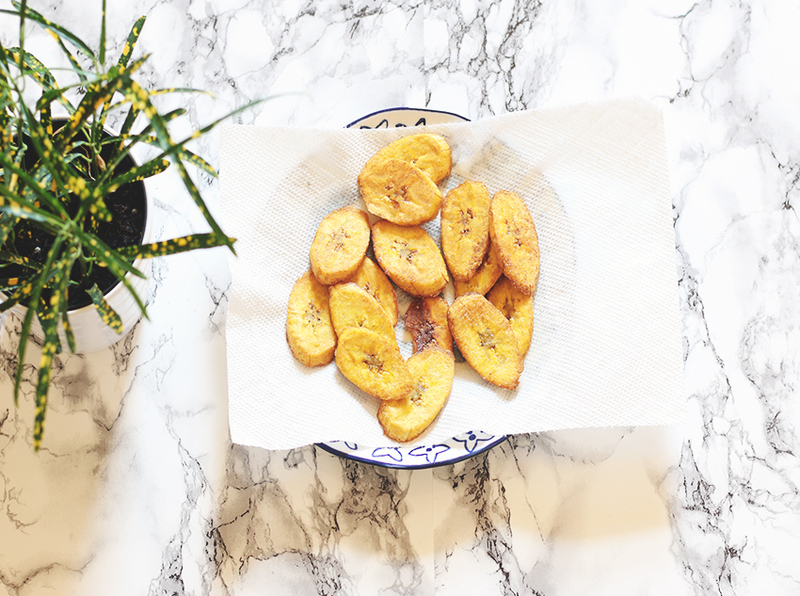 Fried plantains are my favorite. So much crispier and tastier.